The Swan Hotel Bar & Grill has been refurbished to a high standard with comfortable accommodation located in the middle of the high street. 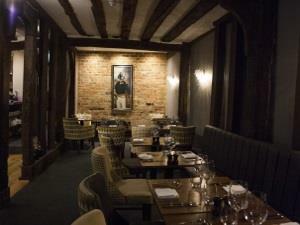 The Swan dates back to the end of the 14th century and many of our rooms boast original oak beams. All of our bedrooms have ensuite shower rooms, tea & coffee making facilities, flat screen TVs, free Wi-Fi and comfortable beds. Due to the bedrooms being on the first floor of the building we do not have access for disabled guests.